Velvet Paw Creations: Queen of Hearts February Calendar Page - Rick St Dennis EDT! 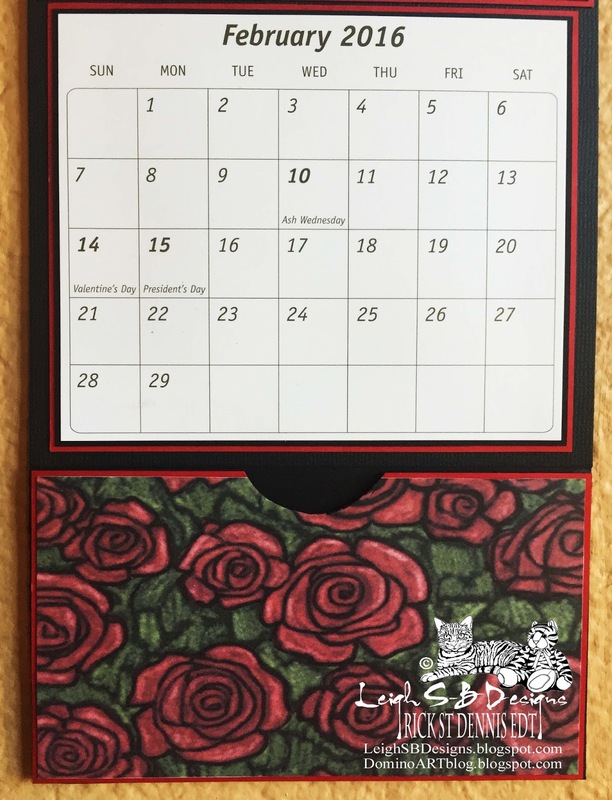 Queen of Hearts February Calendar Page - Rick St Dennis EDT! Today I'm sharing a February wall calendar page with a pocket I made for the Rick St Dennis EDT. 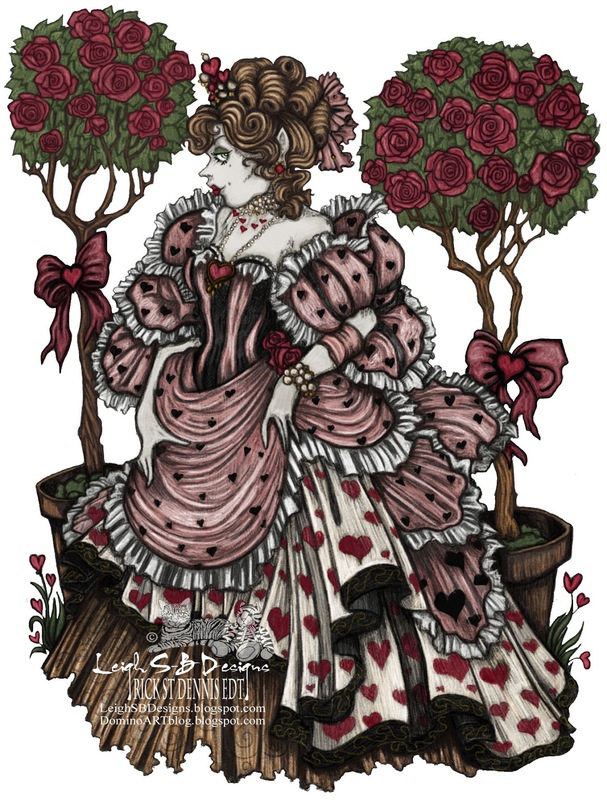 This stunning Queen of Hearts design is by Rick St Dennis Mfa and is a freebie colouring page available for download in our Rick St Dennis Digi Fans and Friends Facebook group! I started out by colouring her with a stylus in my fave art app called Paper 53 for iPad and I'm very pleased with how she turned out! Click on my photos for a closer look. Every year I get a wall calendar with the handy pocket but I missed out on getting one for 2016 so I decided to make my own page for each month and this is my page for February! I got a freebie desk calendar I decided to cut up so the size of the calendar determined the size of the monthly pages I'll be making. I printed out my coloured image and matted her and the calendar onto black and red cardstock using my Perfect Paper Layers tools. For the pocket I enlarged one of the rose trees. I made the pocket out of black cardstock and used a circle punch to cut out the notch in the front. All the pieces where then adhered to black cardstock to create the calendar page.